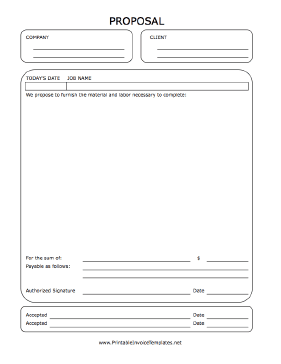 A printable form to serve as a proposal. Includes spaces in which to note dates, job name, materials and labor information, and more as well as authorized signatures. It is available in PDF, DOC, or XLS (spreadsheet) format.